1. In a bowl mash the ripe bananas and set aside. 2. In a separate bowl combine the white sugar, brown sugar, and butter using a hand held mixer. 3. Add the eggs and milk to the sugar mixture and mix to combine. 4. In a small bowl soak the raisins in the rum for about 5 minutes. 5. Add the egg and sugar mixture to the mashed bananas. 6. Sift the flour, baking soda, baking powder, and salt and add it to the banana and sugar mixture. Blend until combined. 7. Lastly, add the chopped walnuts and soaked raisins (including the residual rum) into the banana bread batter and blend to combine. 8. Pour the batter into a greased 4×8-inch loaf pan and preheat the oven to 325 degrees Fahrenheit. 9. Bake for 60-70 minutes, or until a toothpick comes out clean after piercing the middle of the loaf. 10. Once the loaf is baked transfer to a cooling rack. In a bowl mash the ripe bananas and set aside. In a separate bowl combine the white sugar, brown sugar, and butter using a hand held mixer. Add the eggs and milk to the sugar mixture and mix to combine. Add the egg and sugar mixture to the mashed bananas. 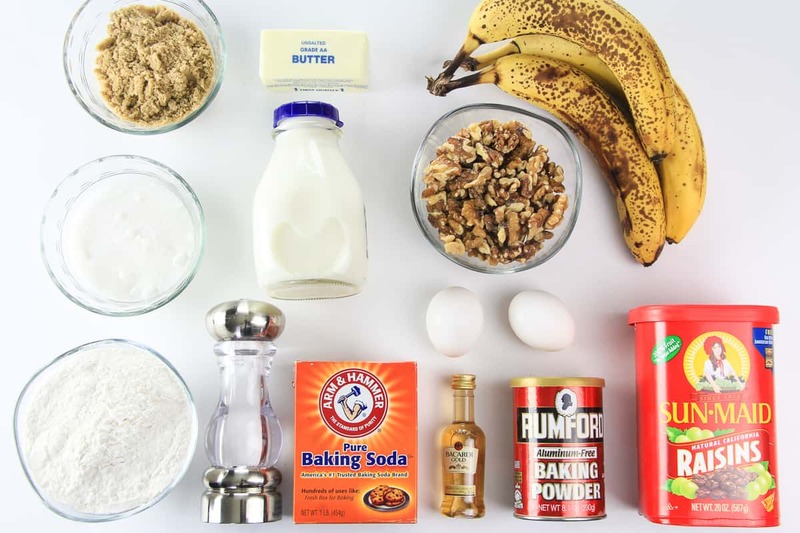 Sift the flour, baking soda, baking powder, and salt and add it to the banana and sugar mixture. Blend until combined. 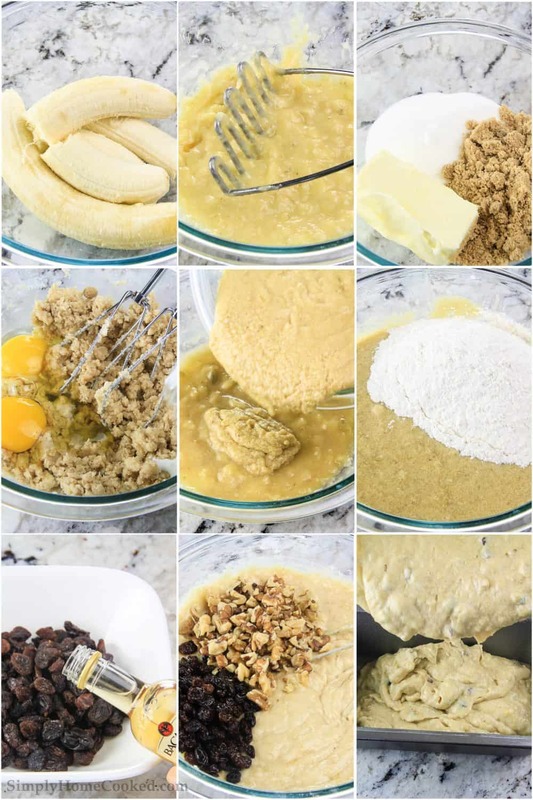 Lastly, add the chopped walnuts and soaked raisins (including the residual rum) into the banana bread batter and blend to combine. Pour the batter into a greased 4x8-inch loaf pan and preheat the oven to 325 degrees Fahrenheit. Bake for 60-70 minutes, or until a tooth pick comes out clean after piercing the middle of the loaf. Once the loaf is baked transfer to a cooling rack. 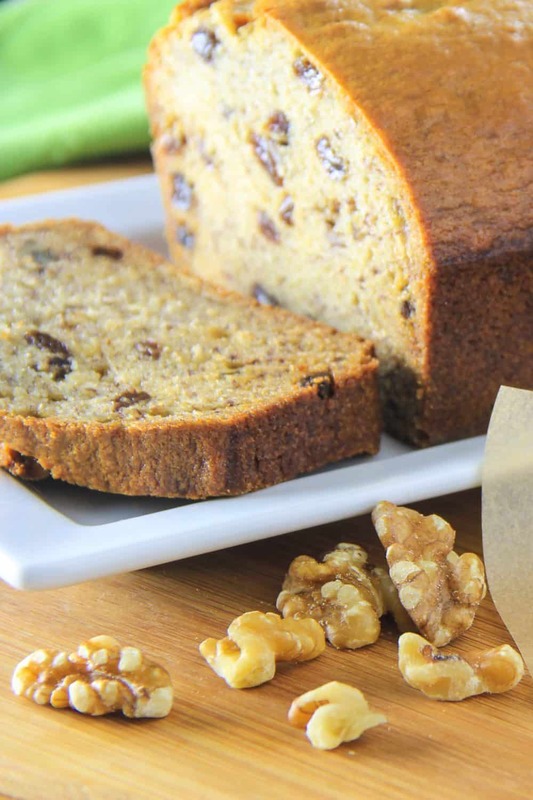 MMM..rum in banana bread sounds intriguing, LOL. The banana bread I make has craisins instead of raisins, so its a hint of sour with the sweet. A slight variation to try! 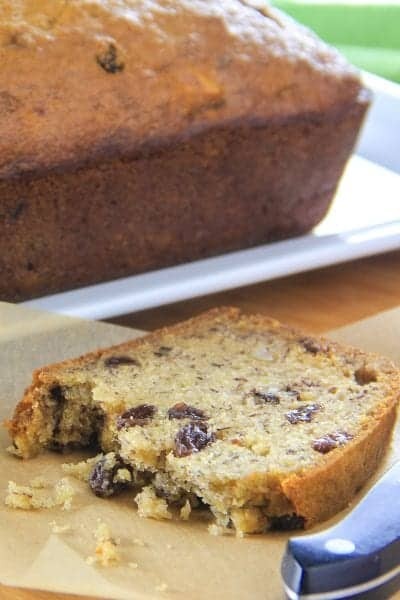 I’ve never tried rum infused raisins in banana bread, it sounds so delicious! You should name this “raisin run banana bread”. I will be making this soon, I always end up with plenty of bananas that become overripe. Thanks!